Lovely silk Fairtrade scarf from Takeo Province in Cambodia. 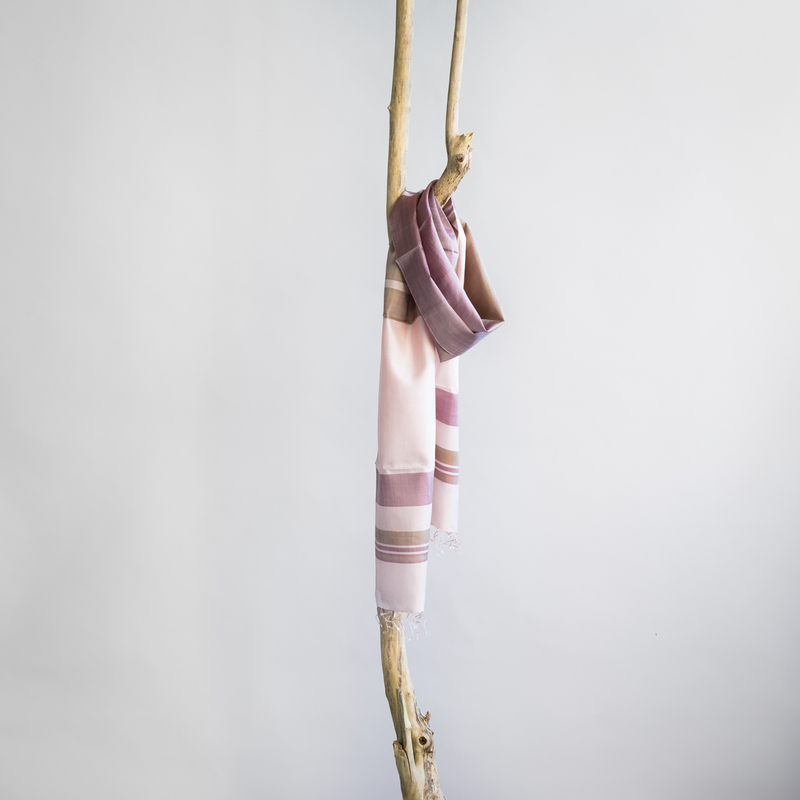 Lovely silk scarf in tender shades of pink and brown. The scarf is handwoven by women from a village in Takeo Province. They are working with Craft Village, a local Fairtrade organisation. Craft Village supports weaving families in the countryside of Cambodia by ordering and selling handwoven scarves and shawls. 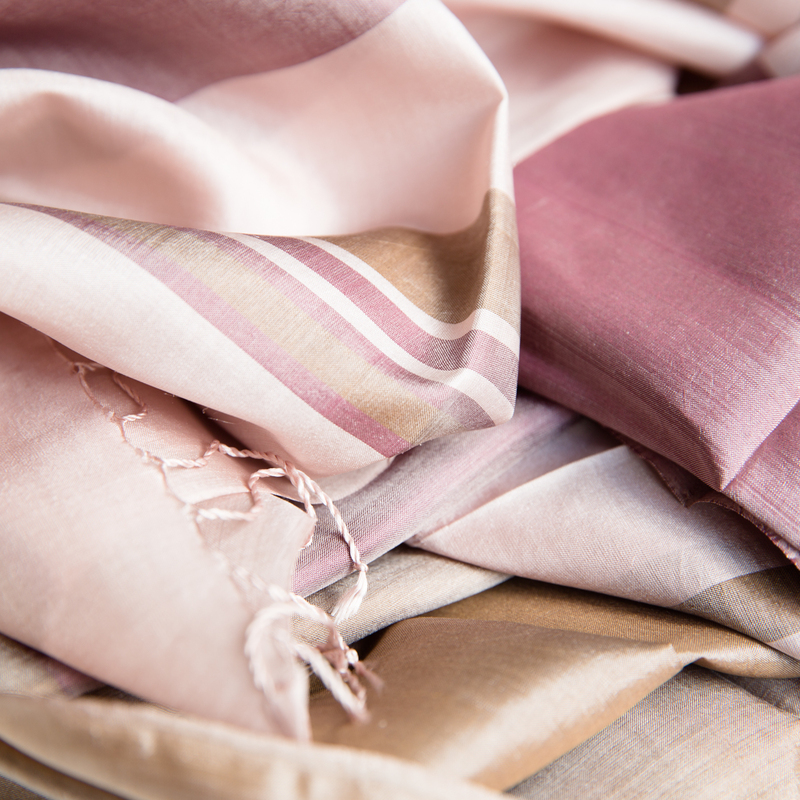 Because of its beautiful lustre and colourfulness, silk is a very stylish and very popular fibre. Silk is flexible and comfortable and has the unique quality to warm you when it is cold and cool you when it is hot. Silk is durable, lightweight, non-allergic and feels soft to the skin.